I was just checking to see if anyone has added a small toolbox to their tractor. I have a B-7800 and wanted to add a small tool box to keep a few tools in as well as a tow trap or tow chain. 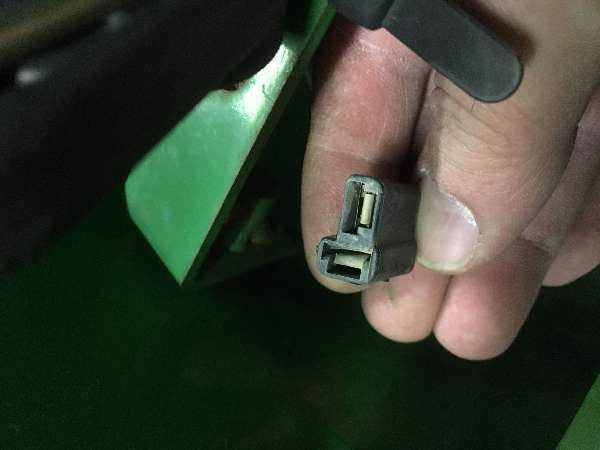 I really didn't want to get into any major fabrication while the tractor is still under warranty. I was thinking around getting one of those small ammo boxes and try to mount it somewhere. Any ideas would be appreciated. I welded up a little bracket and bolted it to the ROPS where the factory box mounts. That way I didn't have to drill any holes. Bought a cheap plastic open-top toolbox at Lowes and bolted it to the bracket. This is on a TC29, but may give you some ideas. It is the bottom left-hand picture at this link. Something happened to the background, now the text doesn't show up. I just finished my experiment - a tool box made out of a piece of 5" square PVC fence post. I painted it Kubota Orange and bolted it to the right-hand-side loader support. Check out my pictures #'s 2 and 3. Brian: that is a great solution. I going to see if I can use your idea on my 4115. My 7800 came with a tool box under the seat. It isn't real big, but enough for spare pins, clips, and a few tools that I like to have with the tractor. I assume you have already looked under the seat and are looking to add something bigger. This box is definitely not big enough for two chains. I have a little room under the seat.... not enough to store a crescent wrench though. When I tip the seat up to keep the snow off the tools get wet. The plastic post with a cap might work. PVC or ABS pipe works better, then you can cement one end shut and put a screw cap on the top. Besdies, it's much stronger. Nice job, Brian, and thanks for posting the tip. I've been looking for a good toolbox solution and that might be just the ticket. Thanks! I figure it is a pretty cheap experiment. The square PVC post was less then $10 at lowes, add some paint and a block of wood for the base and bolts and it's done. No drilling on the tractor and easy to remove if it breaks. My NH TZ24DA came with a small tool box mounted behind the seat, check out my picture #8. Brian, I too like you PVC box, that was a good idea.